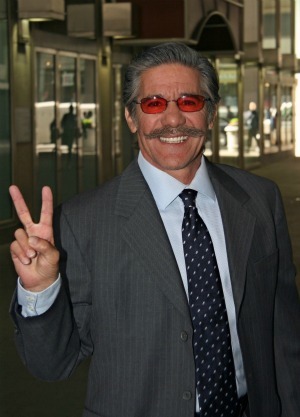 Geraldo Rivera has issued a half-hearted, not-really apology for comments he made blaming the death of Trayvon Martin on what he was wearing. Read on to see what he had to say. Controversial TV personality Geraldo Rivera raised the hackles of millions when he said the death of Trayvon Martin could be blamed on his hoodie — and now he is giving the worst apology ever. In a statement to Politico.com, Rivera peppers his so-called “apology” with multiple reasons why he thinks he was right. “I have obscured the main point that someone shot and killed an unarmed teenager,” Rivera wrote in an email to the site. To refresh your memory, Geraldo Rivera‘s original statement was that the fact that Trayvon was black and wearing a hoodie meant he looked like he was asking for trouble. “But I’ll bet you money, if he didn’t have that hoodie on, that nutty neighborhood watch guy wouldn’t have responded in that violent and aggressive way,” he said last week on Fox & Friends. Tell us: Is Geraldo’s “apology” the lamest thing you’ve ever heard?